With the new material blade WIZARD comes a new top product from der-materialspezialist . WIZARD is a new combined blade which offers low speed and perfect control on the backhand side and all benefits like an offensive blade on the forehand side. For blocking close to the table with ANTI spin rubbers , long or short pimples WIZARD offers maximum control and effective passive play. WIZARD has also enough power for occasional destroy shots. On the forehand side WIZARD offers all advantages from an offensive blade. 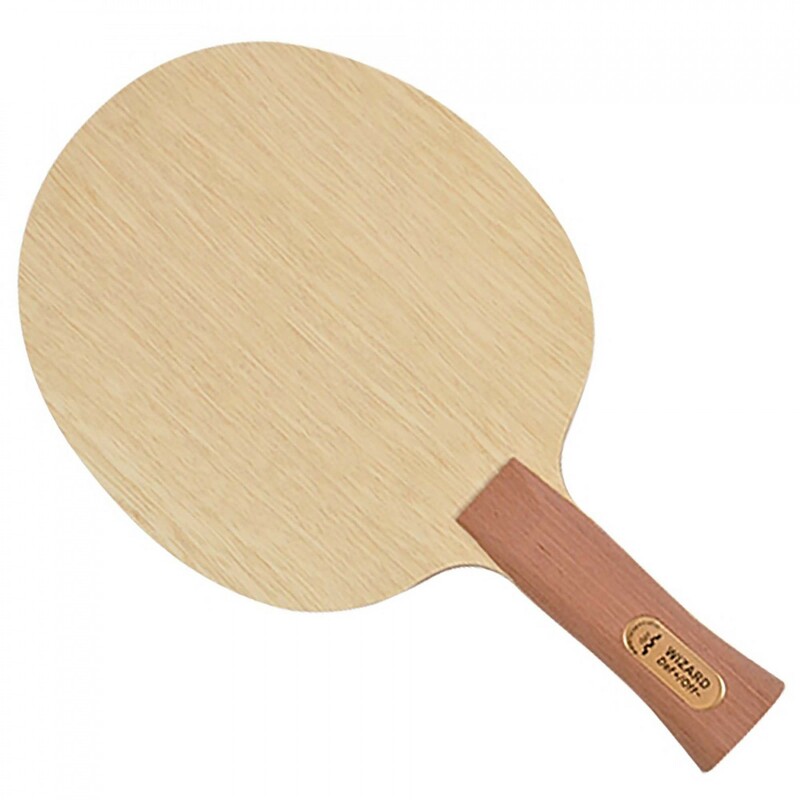 Here you can use normal rubbers or short pimples for exellent topspins and deadly smashes. The new WIZARD blade is the perfect tool to play a combined game with ANTI or pimples ! !